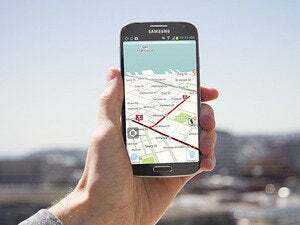 NTT DoCoMo, Japan's largest mobile carrier, will use location data from its 61.5 million subscriber devices to build a platform that monitors traffic conditions across the country. DoCoMo said it will leverage its access to massive amounts of location data to build a cloud platform of traffic information on which services can be built. The company will target individual consumers with products like navigation and drive recording services, and corporate clients such as car insurance companies with traffic monitoring and analysis. The company said it will invest $500 million (¥5 billion) to take a 7 percent share in struggling Japanese electronics manufacturer Pioneer as part of the effort. Pioneer is a major manufacturer of car navigation products, and already uses DoCoMo's networks for wireless services in its systems. The firms will aim to begin rolling out new services together from this year. Other companies such as Google use information gleaned from mobile phones to offer real-time traffic analysis along with turn-by-turn navigation services. But as an operator DoCoMo potentially has constant access to much more precise location data from its users. Last week, Pioneer announced a new car navigation system it will launch this summer that automatically snaps images at popular driving spots and shares them among drivers in real-time to provide information on road conditions. Honda has also described a navigation system that recommends changes in driving habits to avoid traffic jams. DoCoMo has lost ground to rivals Softbank and KDDI in recent years but still has just under half of Japan's 132 million mobile contracts. The company is working to develop services to go along with its voice and data offerings, investing in a wide range of businesses from the Pioneer deal announced Monday to an organic vegetable delivery service last year. Pioneer said Monday that it booked a $196 million loss in the fiscal year that ended in March, even as revenues increased, on rising costs and restructuring. In addition to the investment from DoCoMo, Pioneer said it will also sell shares to Mitsubishi Electric to boost its finances.